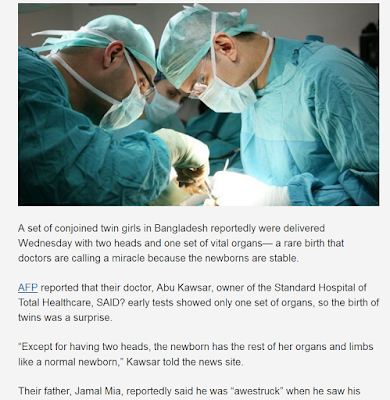 “Except for having two heads, the newborn has the rest of her organs and limbs like a normal newborn,” Kawsar told the news site. Their father, Jamal Mia, reportedly said he was “awestruck” when he saw his newborn daughter. 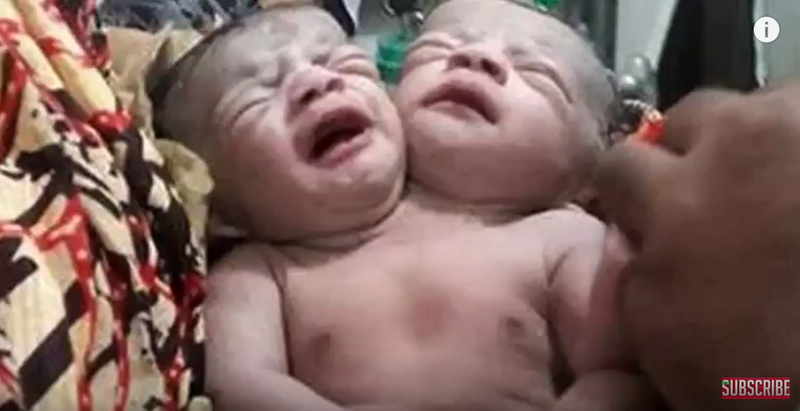 There were well documented accounts of conjoined twins during the turn of the last century (1900s). Tod Brownings cult classic Freaks was filned in the 1930s before the advent of the atomic age. There are 7 billion people on the planet. There is bound to be genetic outliers.